Students at Dartmouth College made more calls for alcohol incidents for help for themselves and for others this past year. Dartmouth began tracking so-called Good Samaritan calls in 2011 and the increase in calls show the students are looking out for one another. Since the fall of 2011, Dartmouth has tracked alcohol-related incidents and implemented various programs to reduce high-risk behavior, including alcohol abuse. 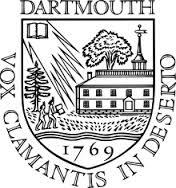 The College banned hard alcohol for undergraduates in March 2015 as part of the Moving Dartmouth Forward initiative, which promotes student safety and well-being. Vermont State Police arrested a Westminster man yesterday, for his part in numerous burglaries along Route 5. Police say just before 1:30 pm they located Jacob McAllister on Back Westminster Road in Westminster. McAllister who had a warrant out for his arrest attempted to run but he was eventually taken into custody. McAllister was charged with 10 counts of burglary and numerous lesser charges. McAllister is lodged at the Southern State Correctional Facility in Springfield pending his arraignment today (Friday) in Windham District Court. On Wednesday, Police arrested McAllister’s girlfriend Chelsea Ovaitte of Springfield VT for her part in the burglaries. Ambetter Health Insurance announced on Thursday it would remain on the New Hampshire’s Exchange for 2018. Ambetter is offered through NH Healthy Families and provides coverage in the individual marketplace through the New Hampshire Exchange and to Premium Assistance Program (Medicaid expansion) through the NH Easy portal. Two other companies, Anthem and Harvard Pilgrim, have announced intentions to offer plans on the exchange in 2018 but have not confirmed their decision. Companies must sign a contract with the federal government by September 27 in order to offer plans on the exchange in 2018. Yesterday, Vermont State Troopers from the Royalton Barracks conducted a saturation patrol on I-89 and I-91 in White River Junction that is designated a safety corridor. The patrol focused on speed, distracted driving, and seatbelt use. Twenty-eight stops were performed. One arrest was made for DUI and one person was cited for possession of marijuana. Those traveling in Lebanon on Monday may experience delays since the City begins its Pavement Maintenance Program. Crews will be working on South Main Street in West Lebanon starting on Monday, August 14th – August 31st. The traveling public can expect delays and alternating one-way traffic patterns. Updates will be provided as they become available. Any questions or concerns should be directed to Bruce Temple, Assistant Director of Public Works at 603-448-3112.